Thanks to a software release from the Gizmo Project, it's now possible to make telephone calls with the Nokia 770 through Voice Over IP. 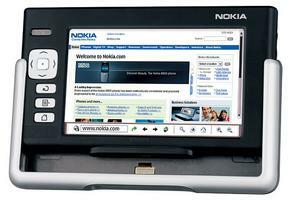 As a WiFi only device (with open source software to boot), the 770 is a unique product for Nokia. The new software also doubles as a instant messaging application. Google Talk is also available for the 770, but its VoIP features are limited to other Google Talk users and not the public telephone system. Pundit Om Malik says the call quality is great. The software is free. Besides WiFi, the 770 features a 800×480 touch-screen, 64MB built-in memory, RS-MMC card slot and an open source Linux operating system. It retails for $350.